For a lot of us, the bathroom can be a major source of anxiety — and considering the fact that many of us start our days there every morning, that’s not a good thing. When you’re getting ready for your day, it feels so much better when your counter isn’t cluttered with all the makeup you’ve ever owned and your towels aren’t littering the floor — because it can be so overwhelming to stand at your bathroom door taking in the mess in front of you. However, it’s totally possible to get things under control with a few bathroom decor hacks, straight from the professionals. HelloGiggles talked to a couple of decor and organizing experts about the best ways to whip your bathroom into shape, and fortunately, you actually can have a clean, organized, pretty bathroom, and it’s way easier than you think. If you do this as your first step, you’ll probably find it a lot easier to finish cleaning and organizing your bathroom, and then you can get to the fun stuff, like decorating. Organizer and blogger Benita Larsson advised that you may see a boost in your bathroom just by swapping out products with ugly packaging for pretty containers, especially when it comes to the stuff that lives on your vanity and the products you use daily. For your shampoo, soap, and conditioner, she recommended MUJI’s pump bottles. And as for everything on top of your counter? Floyd mentioned that when you’re organizing, it’s helpful to store like items together — hairspray and dry shampoo go together, and so do all your hot tools. This way, you’ll be able to find exactly what you’re looking for when you’re in a rush in the morning, and everything will have a home, making it easier for your hard work to last. It makes sense: If you’re constantly looking at clutter in your bathroom, it’s going to stress you out — and it’s going to make it way easier to get disorganized all over again. 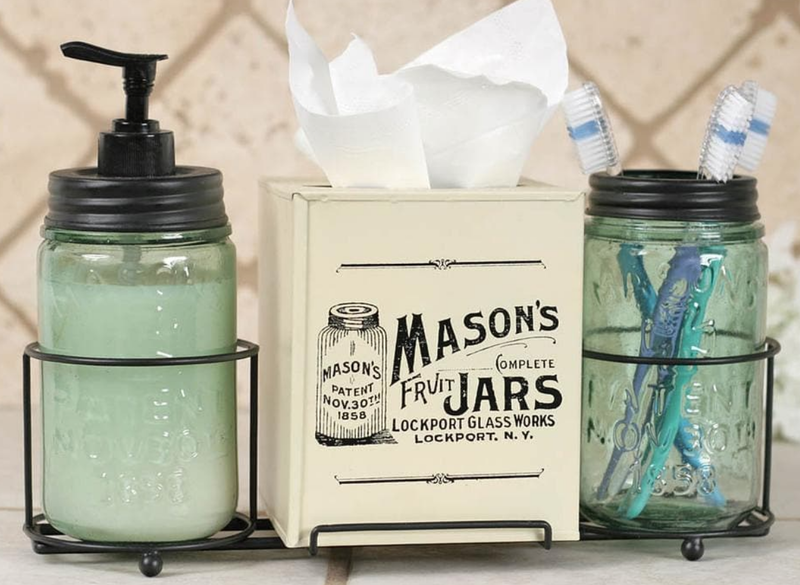 Floyd suggested making use of your vertical space by stacking your stuff in clear containers that are labeled, so you know exactly what’s inside. She also suggested trying to find ways to store things in unexpected spaces that you might not be making use of already. This is a trick that many hotels use: When all of your towels are white, they’re easy to bleach when they get dirty, and keeping everything the same size makes storage a breeze. You spend a significant amount of time in your bathroom, so Larsson recommended that you include a few decor touches to make it a space you actually enjoy. “I love to add art and some greenery to finish things off, and it makes the bathroom feel more part of my home than a space to just wash and get clean,” she said. Having a gorgeous, organized bathroom doesn’t have to be hard — and think of how rewarding it will be when you get to see the finished product. Happy cleaning, and don’t forget to Instagram your beautiful, organized countertop.